Enter your favorite pasta-pie-appetizer-yummy, for glory and more at the summertime bash. Is this your ultimate dream foodstuff? Dig cooking and inventing recipes? Your time to shine, with the brightness of a (garlic) bulb, is nearly here. CALLING CREATIVE COOKS: When is it, do you think, that you devise your most delicious garlic-based recipes? Is it while you're actually eating a plate of something absolutely awash in the pungent bulb? Or does garlic-scented innovation strike when you're chewing the blandest bites of a practically flavor-free meal? It probably goes one way or the other most garlic fans. Then there are those that come up with cool creations while sitting in traffic, on the way to work, with no food nearby whatsoever. In short? $3,000, whoa, with "... second place receiving $1,500." Your magnificent concoction must include at least six cloves of garlic — like any garlic enthusiast ever truly stops at six cloves — and you'll want to have your recipe in by May 1. (Adding "three teaspoons of chopped or minced garlic" is an a-ok way to go, too.) There are other must-knows on the contest page, so peruse all before hitting the kitchen. 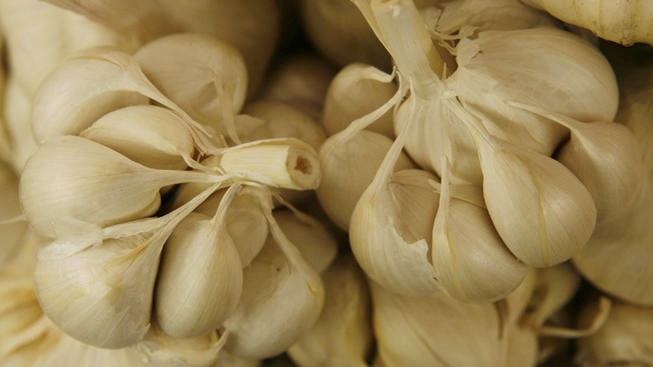 Of course, the dates of the 2019 celebration are essential, too: The world-famous Gilroy Garlic Festival will once again happily heat things up from July 26 through 28, 2019.